Falkirk Council are leading efforts to construct 24 new flats for social rent in Larbert on the site of the former Torwood Primary School. 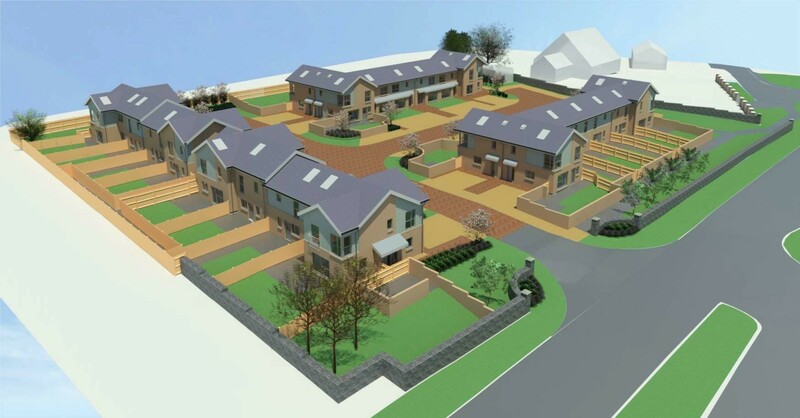 Intended to serve as a southern ‘gateway’ into the village the estate will sit behind a retained natural stone boundary wall beyond which will sit four blocks of terraced accommodation. The courtyard style development will front onto shared access streets with facades finished in a mix of Anstone blockwork with complementary cladding used to accentuate corners and areas ov visual interest. Active frontages will be provided to all blocks and end gables. ahh, I remember the 90's, this one from the archives UR? I quite like it. Certainly a lot better that the Tulloch Homes stuff adjacent and the sea of dry dash at the Inches. Just add some trampolines and an illuminated Santa climbing up the gable and youve cracked it. UR - this is in Plean, not Larbert. I suspect the good folks of South Broomage would choke on their ciabattas if this was proposed for their stretch of Stirling Road. #4 Last time I drove past, Torwood was in Larbert (Falkirk Cooncil) and not in Plean (Stirling Cooncil). It will fit in well with the Pablo Escobar mansions up the Glen Road. This is Plean and not Larbert. Plean Primary was a lovey Old Victorian building that local vandals burned down. It now has a lovey new building. 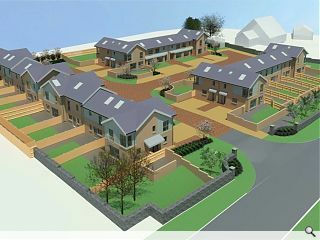 These houses will be in Plean, a different local authority to Larbert and different village. #6 Eh......try looking at the application. Its an application to build council houses by Falkirk Council for Falkirk Council on the site of the old Torwood Primary School (it was a small special needs school) in Torwood, the postal adress of which is Torwood, Larbert.....which last time I looked was in Falkirk Council. Have a look at the site plan...its at the bottom of the Glen Road....just along from where the old Torwood Garden Centre used to be before they moved and Tulloch built some pretty awful houses. You're welcome.